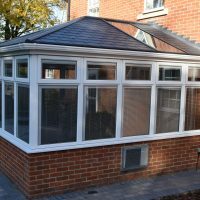 We install the tiled conservatory roofs across Stevenage, Hertfordshire, Welwyn, Cambridge, Radlett, Waltham Cross and surrounding areas. 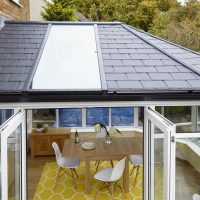 The Tiled Conservatory Roof is the ideal choice for homeowners who are looking for a lightweight, aesthetically pleasing and thermally efficient roof. 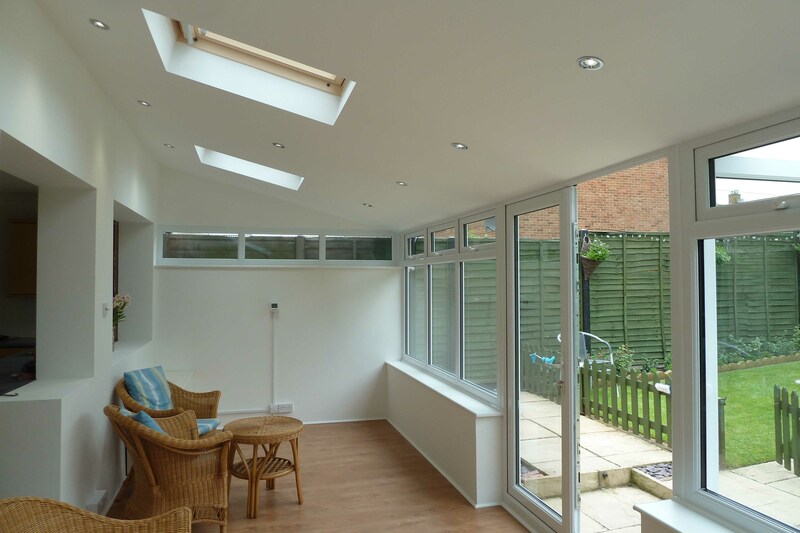 You can combine this with our high-performing glazing, meaning you won’t have to compromise between warmth and light. 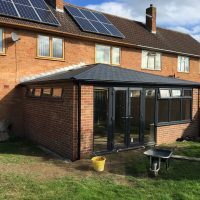 This roof is the lightest and strongest tiled conservatory roof on the current market meaning that this is an investment every homeowner should make for their conservatory. 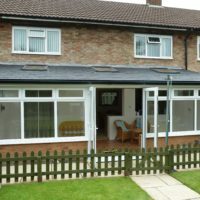 It can be the finishing touch on a new addition or replace an existing roof, all without the need for a tie bar. 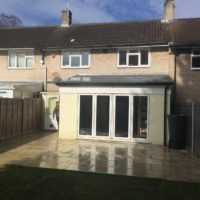 We know that home improvement can be long and messy jobs, however we keep the mess to an absolute minimum with key components cut to size beforehand so there is no cutting on site. 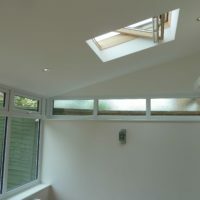 As the roof can be watertight in 6 hours, you can enjoy your new room immediately. Furthermore, you will have peace of mind knowing that we use NASA satellite data to precisely engineer roofs for wind and snow loads in your area. 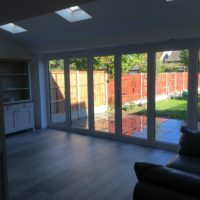 In addition to this, you can have 4m spans for bi-fold doors without any extra support. 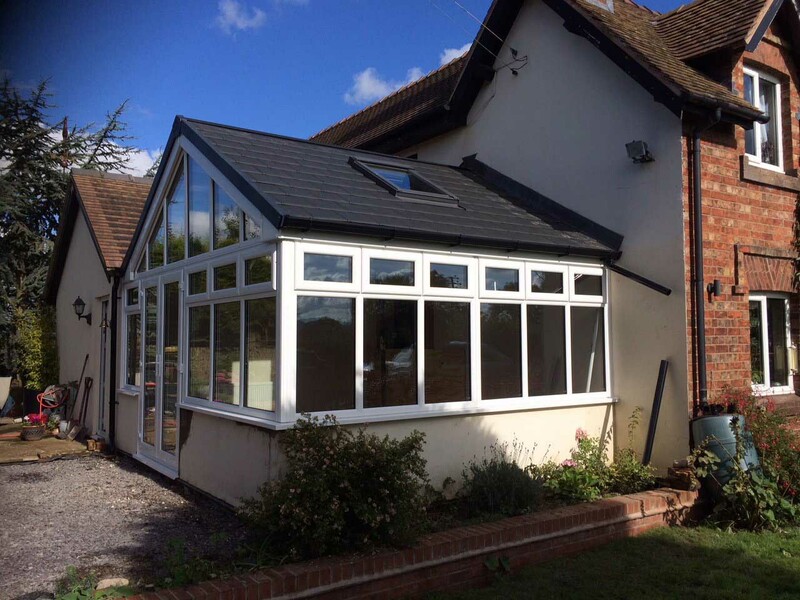 Our Tiled Conservatory Roof can be made bespoke to you as we understand that each home has a different style. 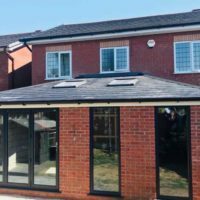 To match or contrast with your existing window frames, we offer a choice of coloured external fascia boards: ‘White’, ‘Black’, ‘Rosewood’ and ‘Oak’. 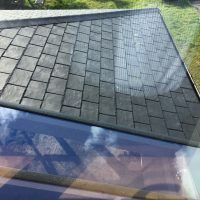 You can also choose the glazing placement, tile colour and the ridge and capping material. 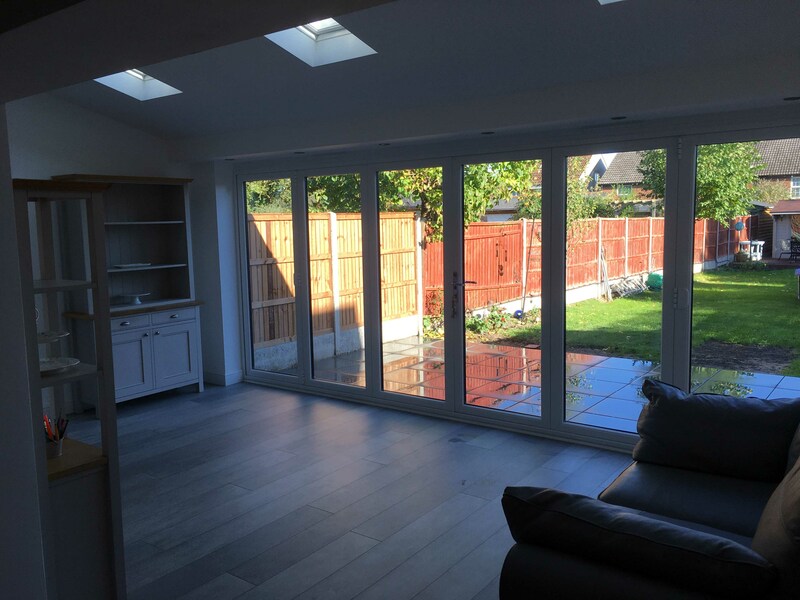 Achieve the absolute ‘room-like’ feeling for your new house extension, orangery or conservatory with the insulated internal pelmet which is fitted along the inside perimeter of your Tiled Conservatory Roof. You can further enhance your ideal ambience by installing lighting and speaker options. You’ll be able to bring the right feel to your new home improvement. 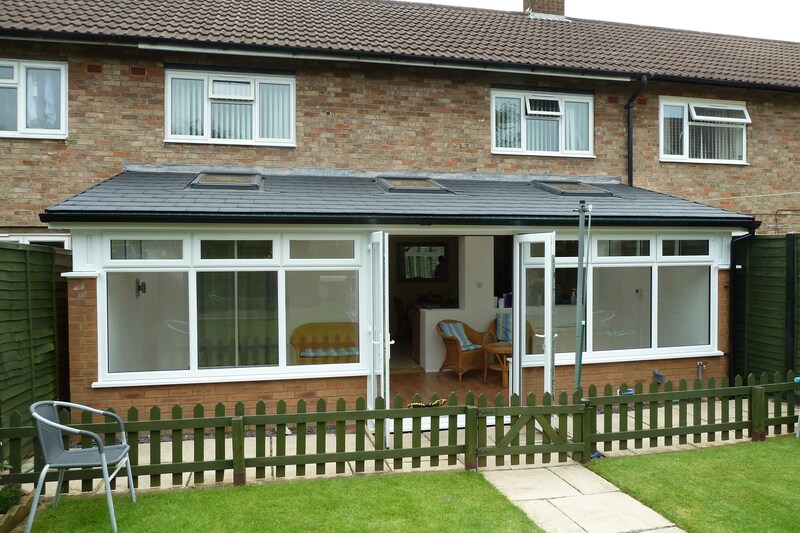 The Tiled Conservatory Roof can be placed upon high performance super insulated columns. These columns, inspired by the Italian Renaissance offer a beautiful heritage charm without compromising on tensile strength or heat retention. In fact, their intelligent design achieves a standard of thermal efficiency that is five times more effective than their brick pier counterparts. 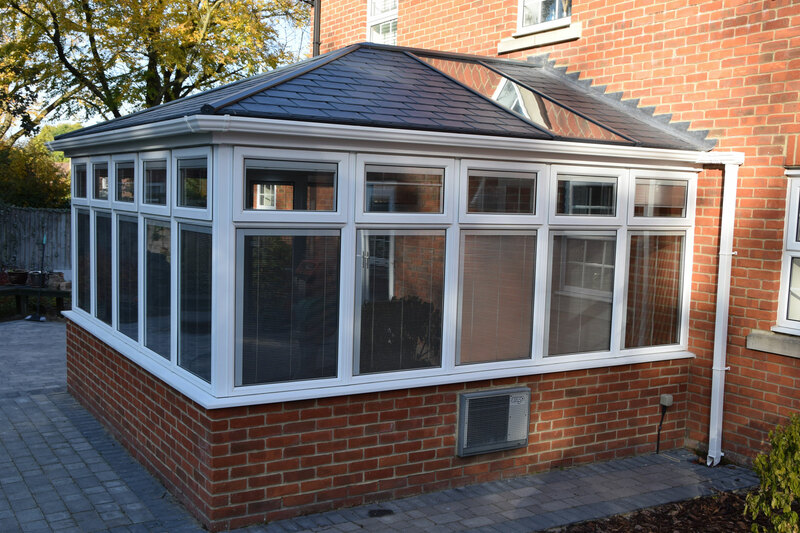 The Tiled Conservatory Roof features a fully insulated 380mm structural bream to achieve an unmatched degree of thermal performance. 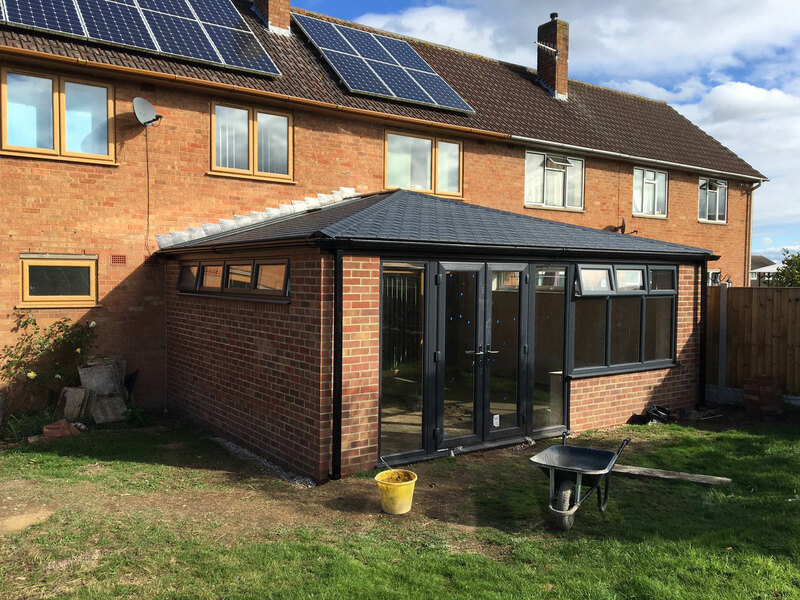 As it is a complete warm roof system, with no cold bridging, you don’t need to worry about heat retention and instead enjoy year-round comfort and reduced heating bills with this exceptional design. 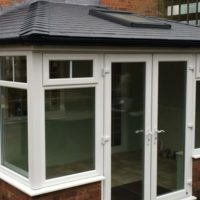 The Tiled Conservatory Roof has been fire tested as a completely assembled system in 2017 by Warrington Fire. It is rated as B-roof according to EN 13501-5: 2016, and AC according to BS476-3:2004. 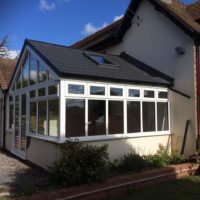 This shows that you don’t need to compromise on light, warmth, strength or safety, you can have it all when you choose our tiled conservatory roof. 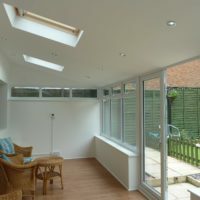 You can save on electricity bills by utilising our offer of full-length glazing roof panels for maximum natural light. 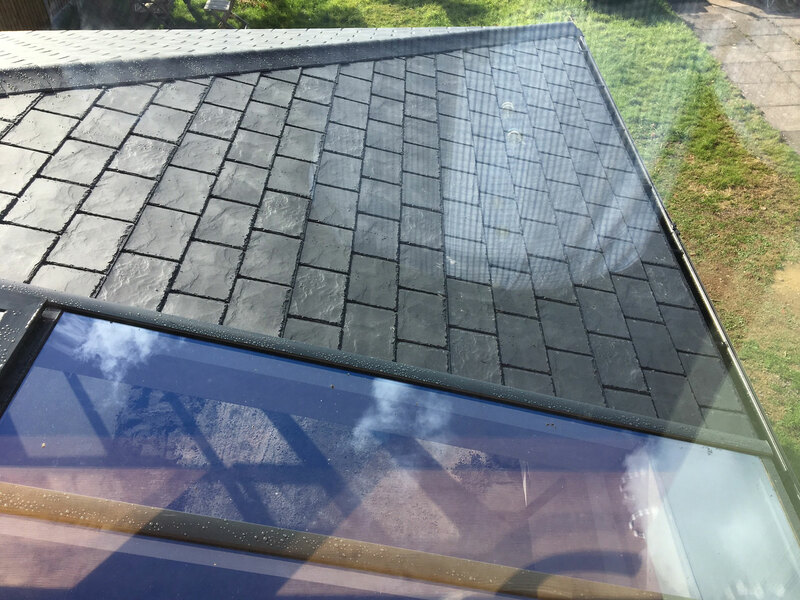 Your installation will reduce solar ray entry but also prevent heat escaping in the winter. 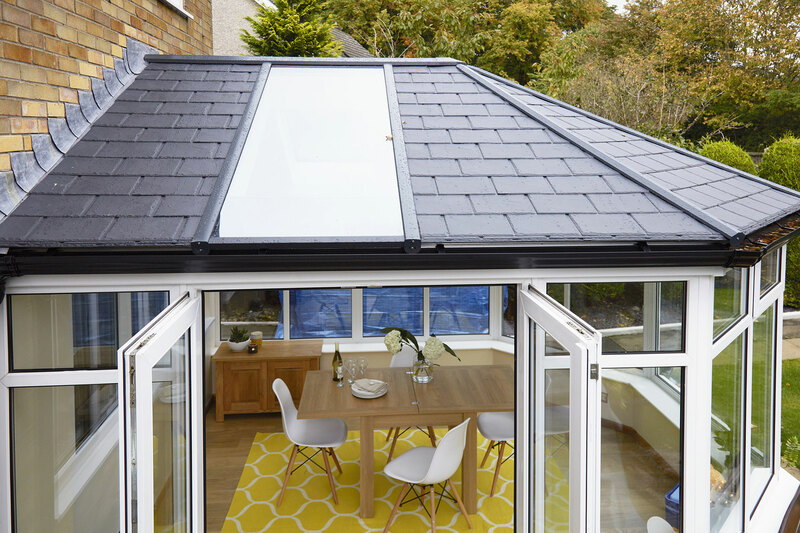 Any specification of glass can be fully integrated into your roof to ensure high standards of performance are guaranteed across the board. 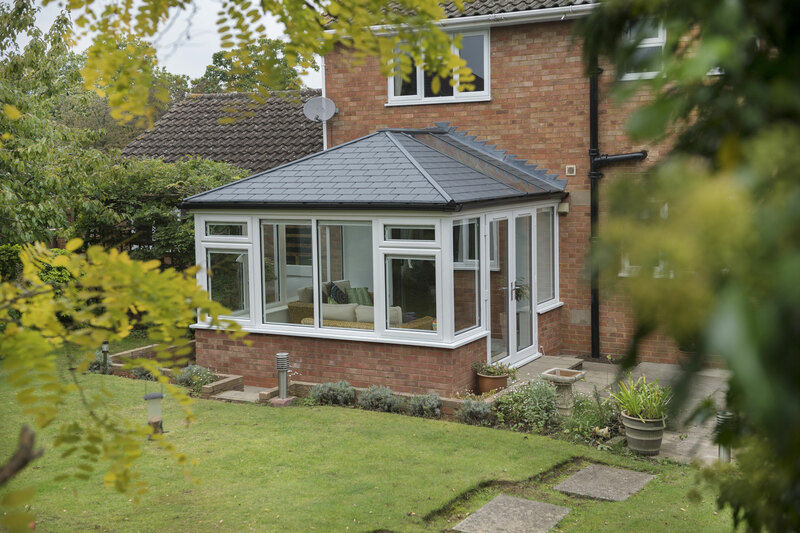 All our Tiled Conservatory Roofs are accompanied with a comprehensive 10-year guarantee for your peace of mind. 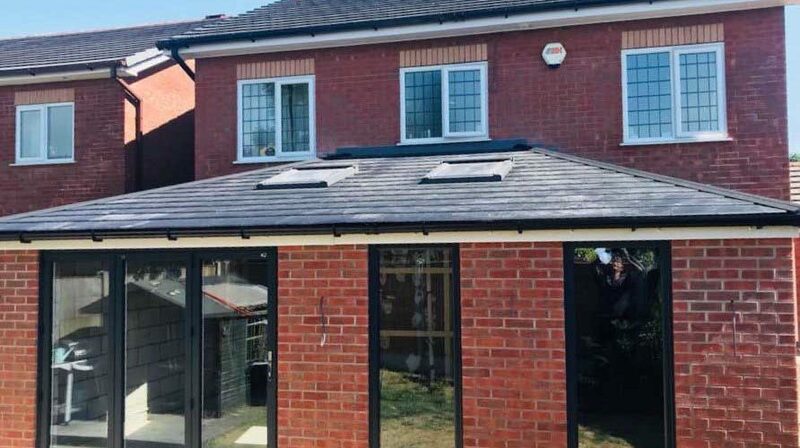 We want you to be completely satisfied with your new roof, however in the unlikely event you do find yourself facing a problem, our friendly team will be on hand to resolve it as quickly as possible to make sure you get the quality you’re after. 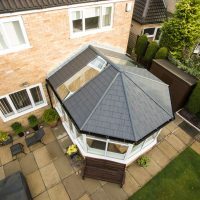 At Conservatech, we give you the freedom to customise the appearance and performance of your Tiled Conservatory Roof. 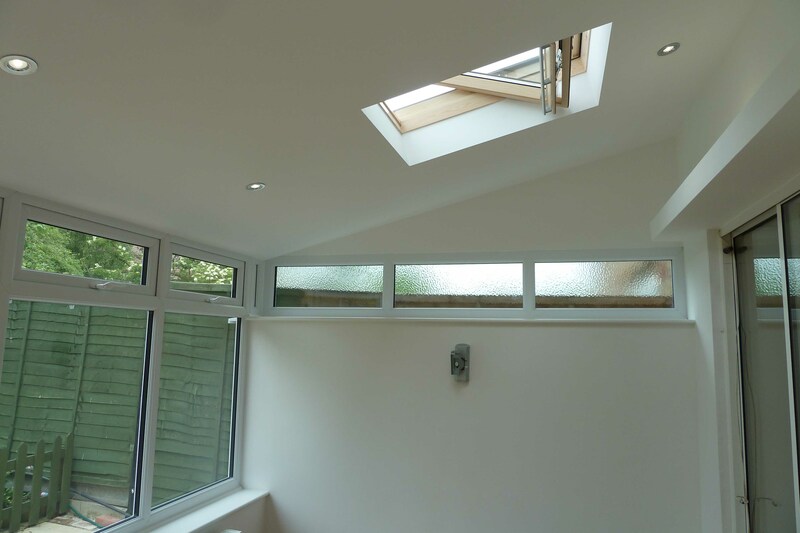 These upgrade options include Velux roof windows, super insulated columns or a curved cornice. 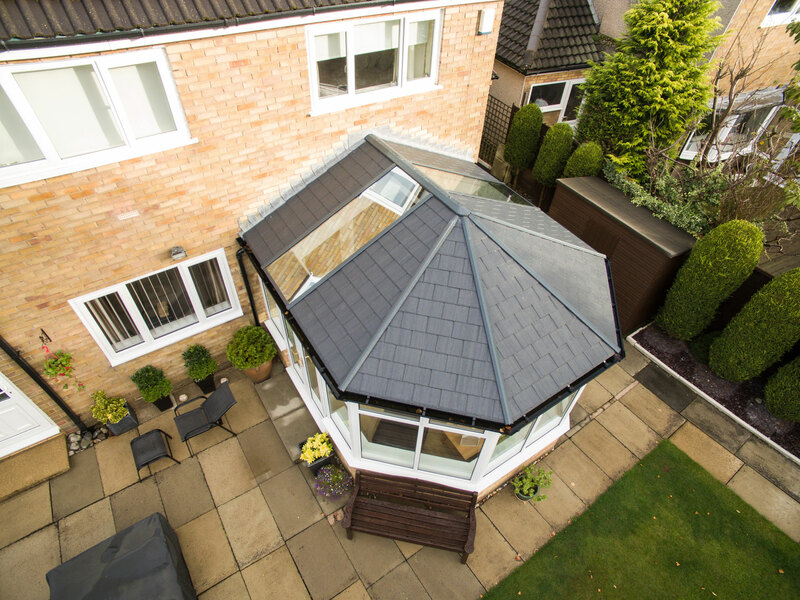 With these choices to personalise your roof, you’re sure to get the ideal fitting for your property. 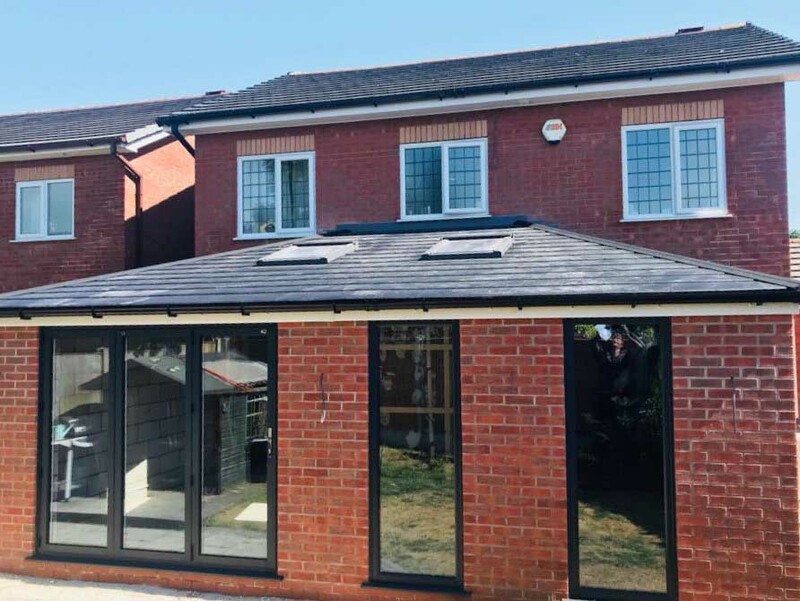 Whether you are looking for a traditional or contemporary look, we can meet your requirements with our range of roof tile colours; Carbon Grey, Harvest Brown and Terra Brick. One of these colours will match your house roof so that the transition is seamless and harmonious. 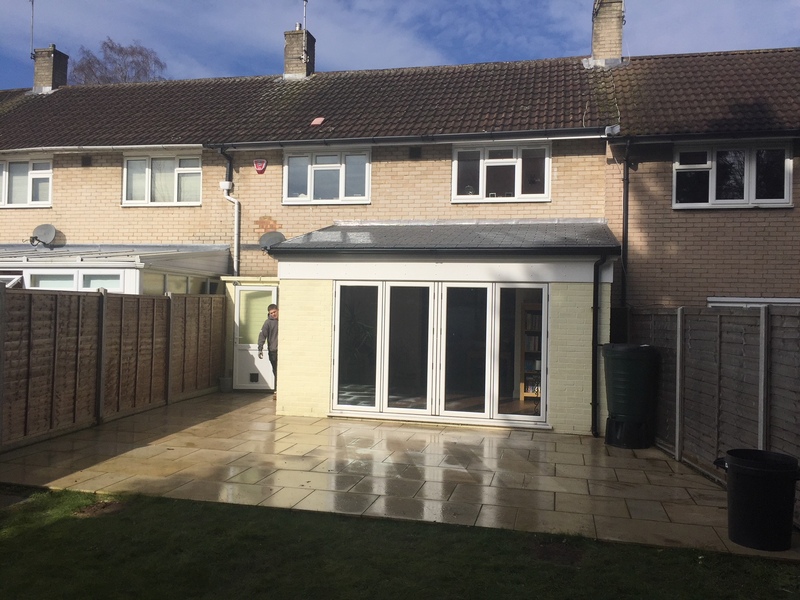 Whether your home is new or old, we’ll have something to suit. 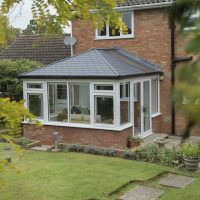 Receive free, instant and competitive prices for Tiled Conservatory Roofs using our online quoting engine. Our simple process allows you to get a bespoke price in no time at all. Alternatively, if you would like to speak to a member of our professional team, please get in touch with us via our online contact form.